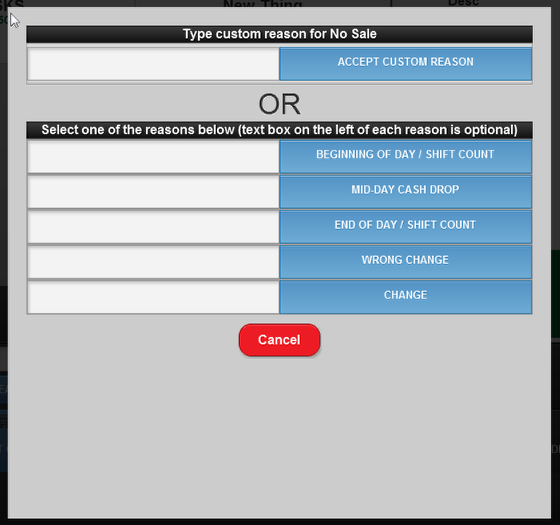 A new control has been created to allow for No Sale entries in the POS system. New Preference Controls exist for setting your Cash Drawer Control. POS (Manual) means only manually operated Cash Drawers, POS (auto-open) is for standard through-printer connected Cash Drawers, Prinert+No Sale enables the new No Sale button. Disabled turns these features off. 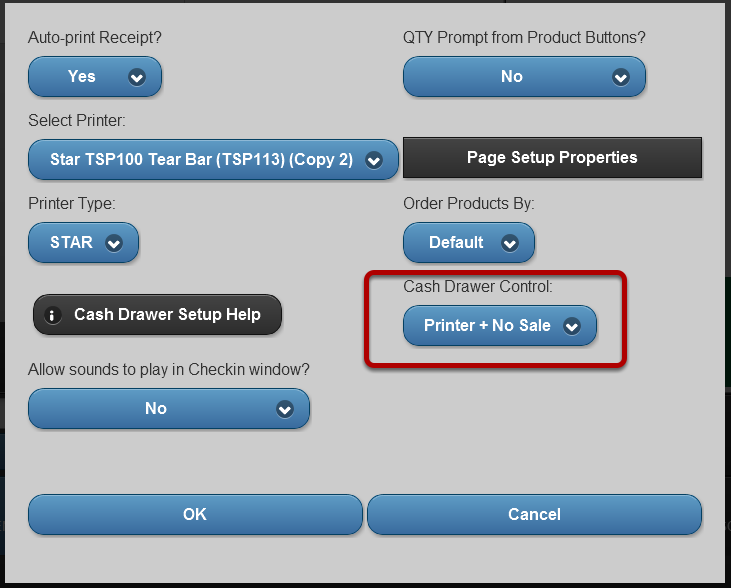 When Printer and No Sale in enabled, the Open Cash Drawer button is replaced with No Sale. Pushing No Sale gives the User a new window with a space for entering the No Sale reason. No Sale records can be searched similar to Recent Sales/Invoices.